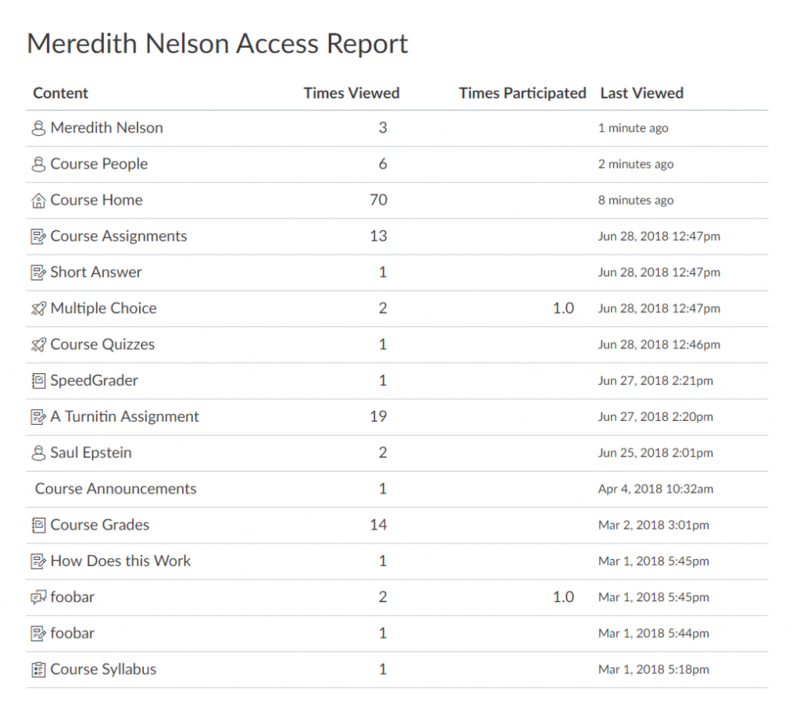 Checking on student activity in an online course can be a little nebulous at first. Here’s how to find previous log-in and participation information. 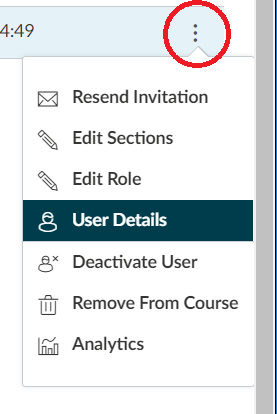 To find a list of activity for any given student, click on the ellipsis menu to the right of their name and select ‘User Details’ and then on the right side of the Individual Student page click on ‘Access Report’. 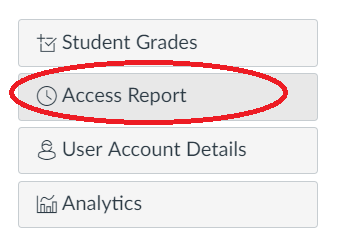 For more information on the Access Report, see the Canvas Guide.